So, Banila Co just released a new product line by the name of “White Wedding” and by sound of it, i can see totally envision a lot of white, lace and “Yes, i do”. Okay, i am just kidding. I have totally seen the product lookbook from the brand and now you can too. 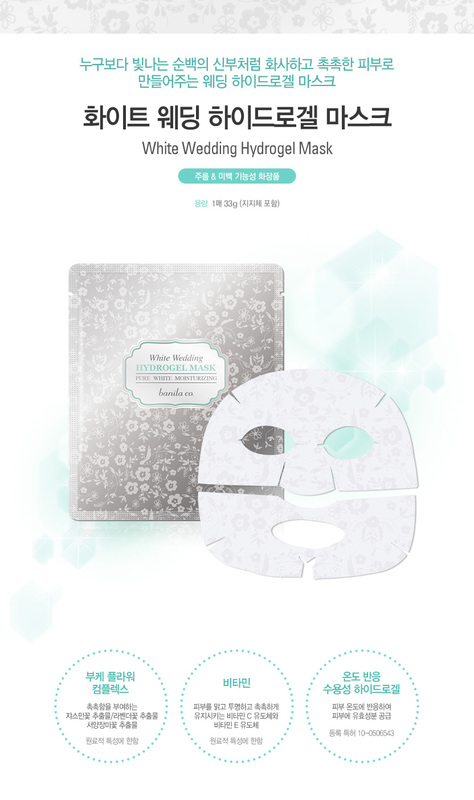 Banila Co White Wedding Hydrogel Mask | ₩5,000/33g (approx. SGD$6, USD$5, €4, £3, ¥547; prices derived from direct conversion). 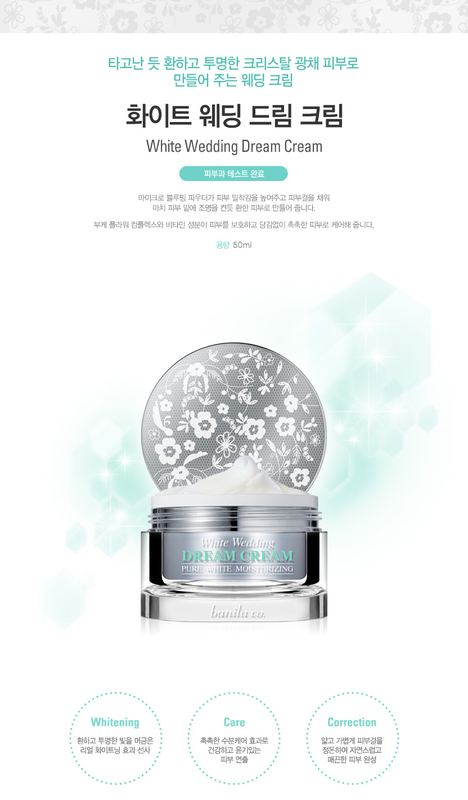 Banila Co White Wedding Dream CC Cushion SPF50+ PA+++ | 3 shades | ₩35,000/15g (approx. SGD$42, USD$31, €28, £20, ¥3830; prices derived from direct conversion). Banila Co White Wedding Dream CC SPF50+ PA+++ | ₩25,000/40ml (approx. SGD$30, USD$22, €20, £14, ¥2736; prices derived from direct conversion). Banila Co White Wedding Dream Cream | ₩28,000/50ml (approx. SGD$34, USD$25, €22, £16, ¥3065; prices derived from direct conversion). I know i will be interested in the CC Cushion and the mask……oh, who am i kidding? I think i want all of the items in the collection!